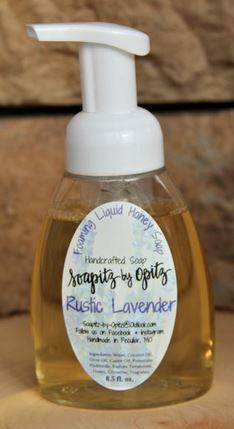 Handcrafted lavender scented foaming liquid honey soap from Soapitz by Opitz. 8.5 fl. oz. Ingredients: Water, coconut oil, olive oil, castor oil, potassium hydroxide, sodium tetraborate, honey, glycerine, fragrance.